Samsung, the largest smartphone OEM in the world, has been on a launching spree lately. The company has tried to completely reinvent its budget and mid-range segment with the current Galaxy A lineup. 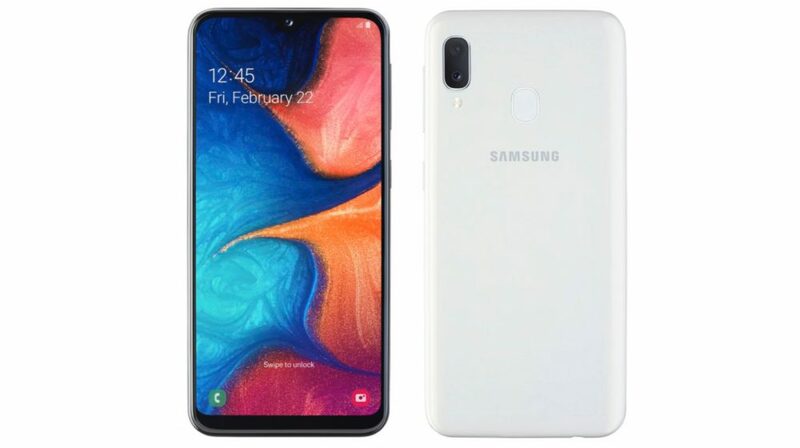 It has now freshly announced the Galaxy A20e budget smartphone in the series to target emerging markets. 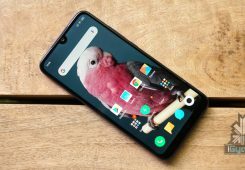 The device was launched on the 10th of April alongside the Galaxy A80, Galaxy A70 and Galaxy A40 smartphones. 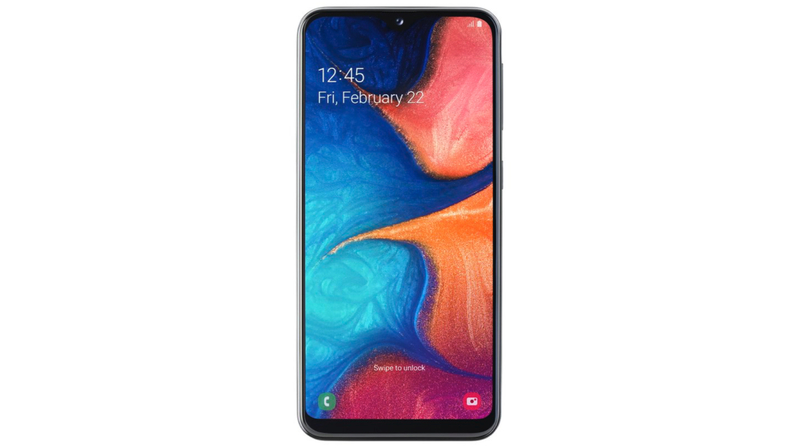 The Galaxy A20e features a new design language adopted by Samsung and offers humble specifications at a lucrative price. The Galaxy A20e features a polycarbonate body with a similar design language to the Galaxy A20 launched a few days ago. The device measures 147.2 x 69.5 x 8.3mm and has a 5.8-inch TFT display with a resolution of 1560 x 720 px. 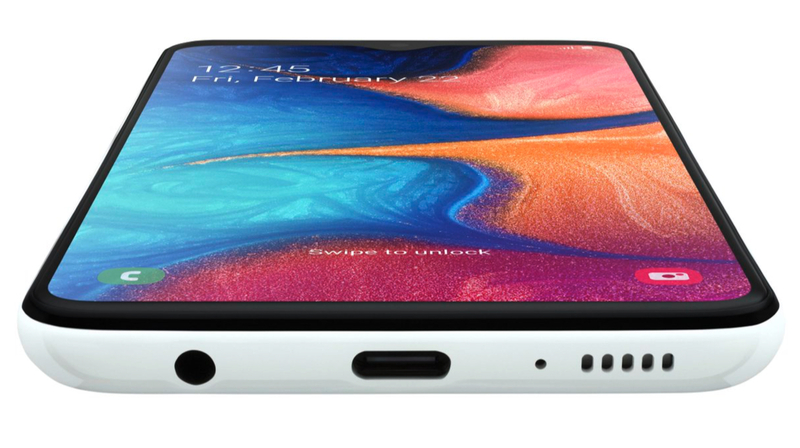 The front has minimal bezels all around the display with a small Infinity-V style waterdrop notch on top. The rear of the smartphone houses a fingerprint sensor which allows it to be unlocked securely. Additionally, it also supports face unlock technology. Under the hood, the Galaxy A20e is kitted with the Exynos 7885 SoC which consists of an Octa-core CPU and the Mali-G71 GPU. 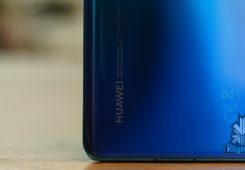 The device has a dual rear camera setup comprised of an f/1.9 aperture equipped 13MP sensor, an f/2.2 aperture equipped 5MP sensor and an LED flash. For selfies, it has an f/2.0 aperture equipped 8MP camera housed in the notch on top of the display. The smartphone is available with 3GB of RAM and 32GB of internal storage which is further expandable up to 512GB via the dedicated microSD slot. The Galaxy A20e is powered by a 3000mAh battery which supports 15W fast charging via the bottom mounted USB port. 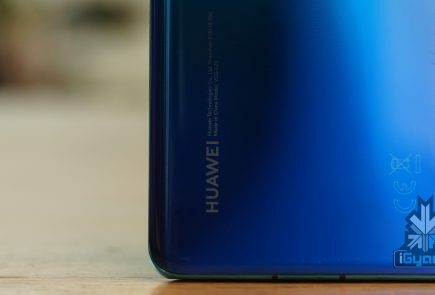 The smartphone runs on the latest OneUI on top of the current Android 9 Pie. It will be available in two colour variants, namely Black and White. 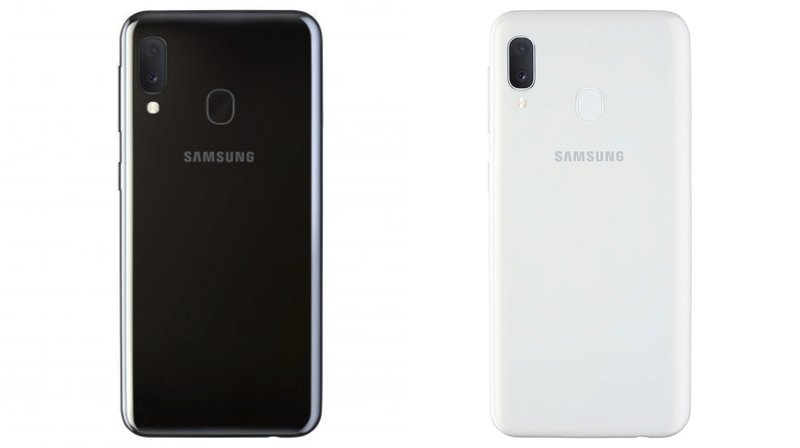 Unfortunately, Samsung hasn’t announced the pricing and availability of the Galaxy A20e, but it is expected to cost Rs 8,990 when it arrives in India.